High Flight was composed by Pilot Officer John Gillespie Magee, Jr., an American serving with the Royal Canadian Air Force. He was born in Shanghai, China in 1922, the son of missionary parents. Magee came to the U.S. in 1939 and earned a scholarship to Yale, but enlisted in the RCAF in September 1940, and graduated as a pilot. He was sent to England for combat duty in July 1941. Pilot Officer Magee wrote High Flight in August 1941 when he made a flight to 33,000 feet in a Spitfire. On December 11, 1941 his Spitfire collided with another plane during combat training. Magee, only 19 years of age, crashed to his death. His remains are buried in a churchyard cemetery in Scopwick, England. 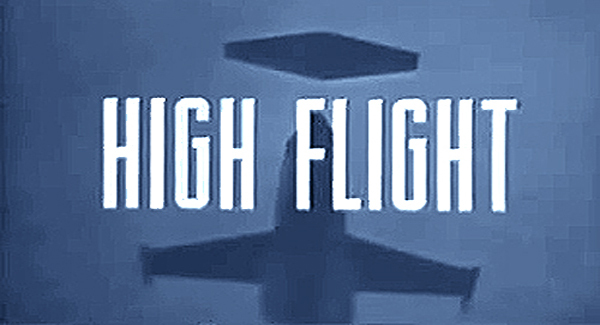 In the early 1960s the United States Air Force produced a short film version of High Flight, which was sent to every television station in the United States. Most stations relegated the film to the wee hours of the night, just before sign off. The film featured the F-104 Starfighter, which was the first combat aircraft capable of traveling at twice the speed of sound. Over the years the iconic poem has endured as a favorite among aviators. President Reagan quoted High Flight in his speech to the nation following the Challenger disaster in 1985. Portions of the poem appear on many headstones in Arlington National Cemetery. 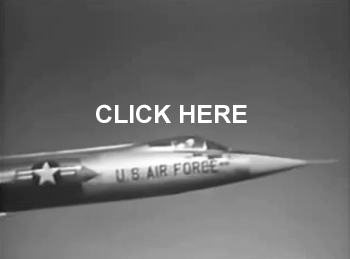 Click on the F-104 Starfighter to view the original United States Air Force film, High Flight.